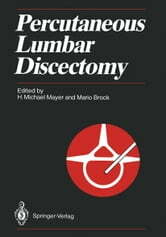 Percutaneous lumbar discectomy is a new surgical method for treating lumbar disc diseases. The goal of the procedure is decompression of the spinal nerve root by percutaneous removal of the nucleus pulposus under local anesthesia. Probably 20 % of all patients requiring lumbar disc surgery can be successfully treated by this method. During the past two years, percutaneous discectomy has spread rapidly, and it is now performed in most clinical departments engaged in spinal surgery. 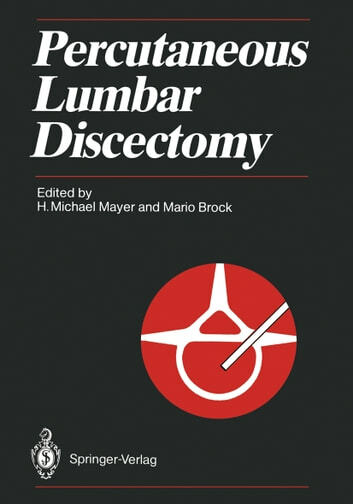 The first International Symposium on Percutaneous Lumbar Discectomy, held in Berlin in August 1988, covered all current procedures known as "percutaneous discectomy" and the entire range of percutaneous techniques, both clinical and experimental. Its publication is important because of the recency of this new surgical procedure, the outstanding experience of the speakers - including the Japanese, American, and European "pioneers" of the technique - and last but not least the gaps in the knowledge of physicians concerning this topic. This procedure opens up new perspectives in the surgical treatment of degenerative diseases of the lumbar spine.